September is a great time to go on vacation - you will find fewer crowds and great deals in many popular destinations. Whether you are dreaming of a quick weekend getaway or a longer vacation to a sandy beach, our list should give you plenty of vacation ideas. Be sure to browse these fall foliage watching ideas. Here are the best September vacations. 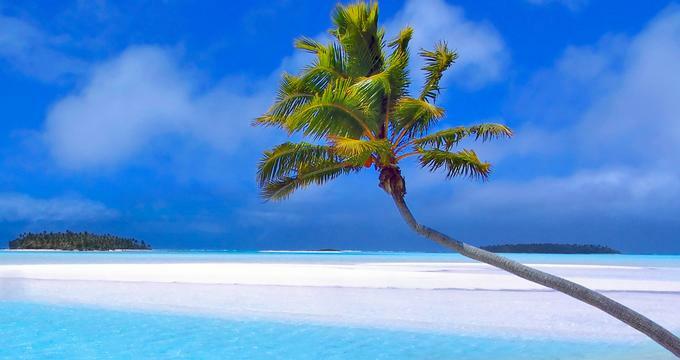 Best islands to visit in September include Hawaii, Caribbean and Fiji. California is one of the best places to vacation in September, offering sandy beaches and great weather. The theme at the iconic El Encanto in Santa Barbara is romance and the idea is to create a luxurious retreat where couples come to rejuvenate for a weekend of great food, privacy and spa treatments. The property has 92 unique suites and bungalows surrounded by lush gardens and ocean views. Guests get to relax on their private patio, luxuriously furnished, and next to the indoor fireplace. California coastal cuisine is served in the restaurant which offers romantic coastal views. Indoor and terrace seating is offered. The Wine Room is available for private parties, while the Lounge serves light meals and Afternoon Tea. The spa incorporates local flora into seasonal treatments that make you feel pampered from head to toe. The Fitness Studio features a variety of core, Pilates, yoga and strength training classes. Nightly rates start at $425 USD. Once you are done exploring the busy Marrakech, drive to the beautiful Atlantic coast of Morocco and rent Villa La Diouana in Oualidia. A hammock swaying under a tree, lounge chairs by the pool and beautiful starry nights will make you forget about the hurried life you left behind. The villa has three badrooms, a separate cottage and an apartment. If you are traveling with a bigger group and need more space, consider renting all three. The luxury villa is furnished in modern style with traditional Moroccan touches such as woodwork and polished plaster floors. The living room has WiFi and a wood-burning stove. There is a library, patio and a roof-top terrace overlooking the garden with trees and flowers such as oleander, pine and mimosa. Oualidia is a small coastal village on the Atlantic coast of Morocco, a three-hour drive from Marrakech. Activities include bird-watching, boating and relaxing in the sun. The property rents from GBP 1,300 per night. La Lancha Hotel is a lakeside getaway surrounded by a lush rainforest in Guatemala. The hotel overlooks lake Peten Itza and is near historic Mayan ruins which consist of 3,000 structures, ancient temples and plazas. The property has an outdoor pool and an open-air restaurant with spectacular rainforest and lake views. Guests are accommodated in Rainforest and Lakeview cottages with hammocks and Guatemalan and Balinese furnishings. Ask for a view of the lake, especially if you are planning a romantic getaway. You will be able to have breakfast overlooking the water and relax in a hammock with a view. Luxury cottage amenities include organic, locally sourced, handmade toiletries, plush bathrobes and a shellphone for communicating with reception. 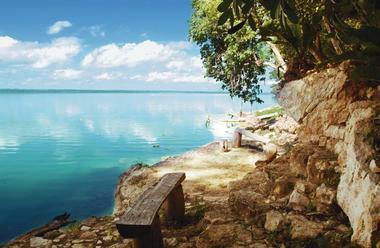 Lago Peten Itza is the second largest lake in Guatemala. Complimentary canoes are available to guests. Once you are done exploring The Maya ruins of Tikal, relax by the split level pool with a view. Many exotic birds and howler monkeys can be seen on the property. Go on a guided horseback ride on the adjacent 70-acre farm. Cottages start from $125 per night. Children under 12 eat for free at any of the restaurants. Children ages 12 - 18 receive a 50% discount on all meals. La Mamounia in Marrakech is a glamorous hotel which has attracted many famous guests, including Winston Churchill, Franklin D Roosevelt, Alfred Hitchcock and Charlie Chaplin. The hotel was recently renovated, preserving its trademark look from the 1920s. 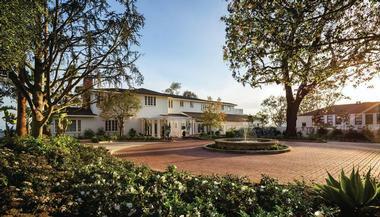 The property is set on 17 acres with century-old gardens and a large outdoor pool. Choose from 210 guest rooms, including 71 luxury suites. 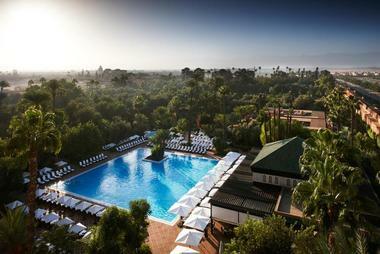 Guest accommodations overlook city rooftops, gardens and the Atlas mountains in the distance. These rooms and suites are among the most spacious in Marrakesh. Ask for a private terrace with scenic city views. Jardin Escondido is Francis Ford Coppola's getaway in in Buenos Aires, Argentina. When the famous film director is not in town, the retreat is available for rent, either as a whole house or a room. 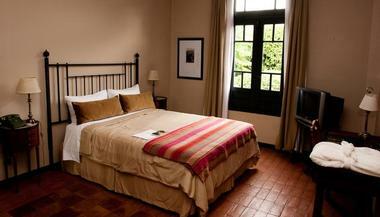 The hotel is located in Palermo Soho next to many shops, galleries and restaurants. The house has three levels of gardens, an outdoor kitchen and parrilla, and a beautiful terrace surrounded by a garden. Facilities include meeting rooms, a flat screen TV entertainment center and a collection of classic films. The on-call sommelier can help you with all your wine requests, including some of the top Argentinian wines. Guests are accommodated in four master bedrooms, two double bedrooms and a single bedroom. There is a full-time housekeeper and an English-speaking concierge. 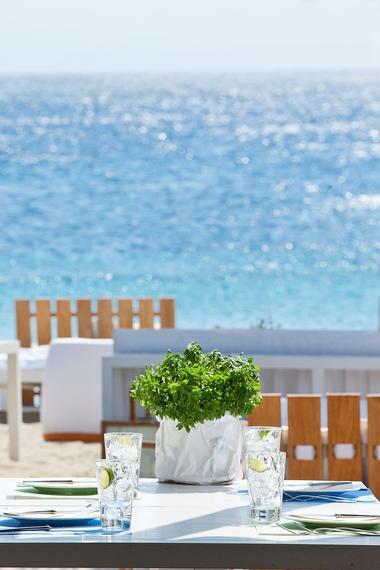 Enjoy a unique authentic breakfast or brunch, Sunday asados and fresh flowers. Las Casitas Village is an oceanfront resort in Puerto Rico, a part of the Waldorf Astoria Resort collection known for luxury service. This family-friendly resort is comprised of 150 private villas with fully equipped kitchens, giving families the flexibility to prepare their own meals. Guests have access to 24-hour personalized butler service during their stay. Coqui Water Park (tickets are $12.95 for adults and $8.95 for kids) offers water fun for everyone, from a lazy river and a rope bridge to many slides and pools. There is a small slide for kids, a body slide, tube slide and a speed slide. The lazy river is a fun ride for children. 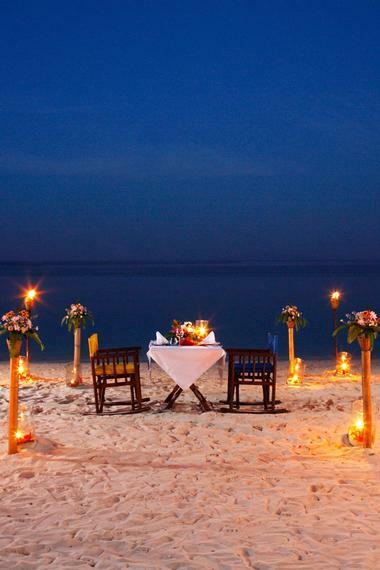 Zeavola Resort is a luxury hotel located in Thailand's lush Phi Phi Islands. The hotel sits directly on the shores of the beautiful Laem Tong Beach. Guests can choose from private villas or suites that are surrounded by landscaped gardens. The property boasts a full-service spa, several restaurants with local cuisine, and space for weddings and special events. Diving is a popular activity among Zeavola guests so it is easy to arrange for diving trips or diving courses with a PADI-certified instructor. Excursions to nearby islands can also be arranged with help from the hotel staff. 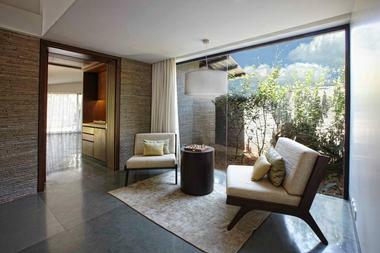 Hilton Shillim Estate Retreat & Spa is Hilton Hotels & Resorts first leisure property in India. The estate is a 2.5-hour drive and 30-minute helicopter ride from Mumbai. All-villa accommodations have butler service, one of the largest wine cellars and an ultra-luxurious spa. The spa itself is set on 70 acres and offers more than 150 treatments, making it one of the best spas in Asia. Ultra-luxury guest villas offer guests plenty of privacy. Each villa comes with private decks or balconies, dedicated treatment areas and valley or forest views. Interiors are contemporary with cutting edge technology. The Spa Pool Villas and Presidential Pool Villas are the most luxurious with their private gardens and swimming pools. 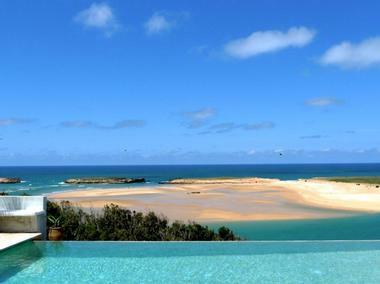 Set high above Walker Bay, Birkenhead House is an opulent five-star hotel that comes fitted with modern amenities and incredible ocean views. Each of the hotel's 11 guest bedrooms offer luxury and privacy. Additionally, the room rate is all-inclusive, which means that delicious meals come standard with room reservations. For entertainment outside of the hotel, guests can embark on a whale-watching expedition, pick some fresh mussels off the rocks at the beach, or take a surfing lesson with the hotel's manager. Birkenhead House is also a beautiful and intimate venue for weddings, family gatherings, and honeymoons. Buccament Bay sits in a secluded part of St. Vincent, an idyllic island in the Caribbean. The suites and villas at Buccament Bay are equipped with all the comforts of home. 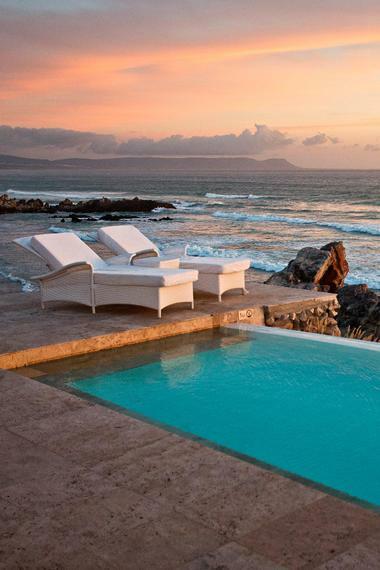 Additionally, each villa boasts a deck with a private 'plunge pool' that overlooks the beach. For some high-energy fun guests can head to the Harlequin Sports Academy. The academy offers private football, cricket, or tennis lessons to adults and children. World-class coaches are available to help students throughout the day. Guests can also relax by the hotel's two pools, get some work done at the business center, exercise at the onsite fitness club, or enjoy a boat excursion to a nearby island. St. Vincent is one of the best islands to visit in September. 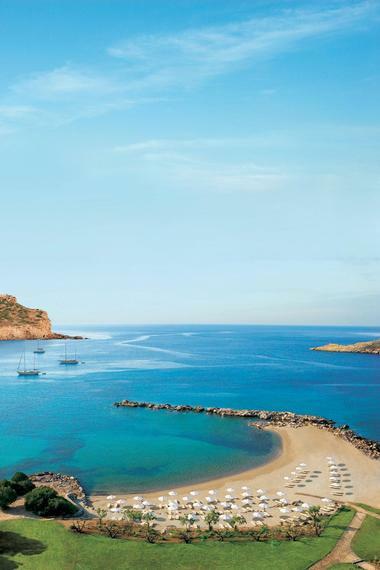 Located in a historic and beautiful area outside of Athens, Cape Sounio is the prime destination for a relaxing getaway or a romantic holiday. There are villas and suites available on the property, and both options include a variety of luxurious amenities. Cape Sounio has a spacious private pool, a luxurious spa, and space for holding weddings, corporate meetings, and special events. Tennis courts, a miniature football pitch, and a beach volleyball court are also located on the property. Guests can also coordinate with the hotel to arrange exciting activities including a private yacht cruise or dive courses with a PADI-certified instructor. Situated on the stunning Greek Island of Crete, the Ammos Hotel is a miniature resort that is located minutes outside of Chania. The hotel flawlessly blends classic Greek architecture with modern conveniences. Visitors can choose from a sea view studio, a garden view studio, a deluxe sea view studio, or a garden suite. 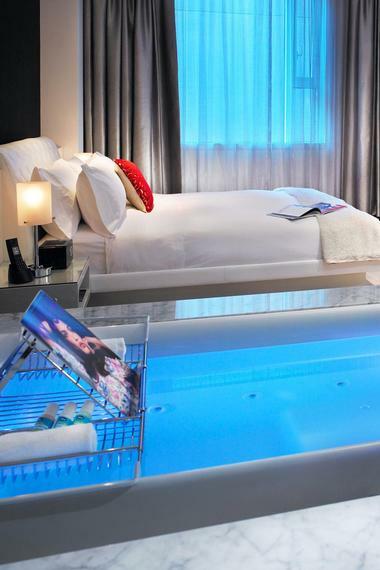 Each accommodation option includes an array of high-end amenities. Guests can also dine on authentic Greek fare all day long at the hotel's restaurant. For entertainment, visitors can enjoy relaxing at the beach, sunbathing by the pool, or exploring the old town of Chania. Situated in the lush Italian countryside, Castello Del Nero is one of the best-known luxury hotels in Tuscany. Although the hotel is in a secluded area, guests can easily reach the cities of Florence, Siena, and Pisa by car or private shuttle. One of the hotel's defining features is its destination spa. At the ESPA spa visitors are exposed to unique therapeutic experiences including Turkish baths, a vitality pool, and ice fountains. Castello Del Nero's fine restaurant, La Torre, is also within steps of the guest rooms. Lastly, Castello Del Nero is a popular choice for lavish weddings and special occasions. Olare Mara Kempinski, Masai Mara is a luxury adventure camp in the Olare Orok Conservancy known for its lion population, the world's largest. 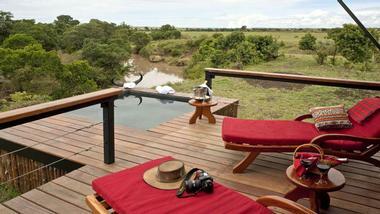 Guests will be surrounded by diverse wildlife, including two million wildebeest and zebras. Guests are accommodated in just a dozen luxury tents furnished with four poster or twin beds, outdoor and indoor showers and a huge teak deck. The claw foot bathtubs are perfect for relaxing after a day of exploring the wilderness. One of the tents has its own plunge pool, perfect for a honeymoon. Set on a private beach, Belmond Villa Sant'Andrea provides guests with breathtaking views of the Ionian Sea. 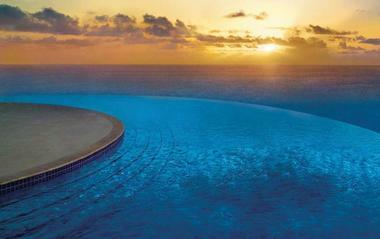 The property boasts 68 luxurious rooms and suites that come with a range of high-end amenities. Although the Belmond Villa Sant'Andrea is in a secluded area, guests can easily reach the town of Taormina with the hotel's private shuttle. Onsite amenities include a large swimming pool, a fitness center, a wellness center, and a restaurant. The hotel caters to families by providing babysitting services, special menus for kids, family-friendly DVDs, and exciting excursions geared toward travelers of all ages. Located in the heart of Hollywood, this luxury hotel sits beneath the Hollywood sign and alongside the Walk of Fame. Guests can choose from several different types of rooms, but no matter which option they pick, they are guaranteed to have great views of Southern California's most well-known city. Guests can unwind at the hotel's chic bar or by the pool on the rooftop deck. There is also a fully-equipped fitness center at the hotel that is open round-the-clock. Lastly, guests can take advantage of the hotel's unique Whatever/Whenever service, which turns every guest's (legal) wishes into reality. The fees for this service vary depending on the requests. If you've always dreamed of a trip to Hawaii, September is the perfect time to go. You will be able to enjoy warm weather, sandy beaches and many activities. The Sheraton Kauai Resort is located on Kauai's South shore, featuring ocean views and a sandy beach. The Fairmont Kea Lani Maui is an all-suite getaway where you can play golf, visit the spa and relax on the sandy beach. The Caribbean islands are off season in September as well, although unlike in Hawaii, in the Caribbean you will have to watch out for hurricanes. Crystal Cove in Barbados has a sandy beach and offers many complimentary activities such as sailing, kayaking and windsurfing. Colony Club has colonial-style guest rooms and a unique system of freshwater pools. Sonoma Valley is a popular fall destination, offering great food, wine and scenery. There are many hotels with spas which let you relax and unwind on your getaway, including MacArthur Place and The Fairmont Sonoma Mission Inn. Visit Vancouver, British Columbia and stay at The Fairmont Hotel Vancouver which has a pool, a whirlpool, children's wading pool and two saunas. The Greek islands tend to be fully booked in the summer, but in September they get quiet and more affordable. The weather is warm so that you can swim and sunbathe without the crowds. Santa Marina Mykonos. 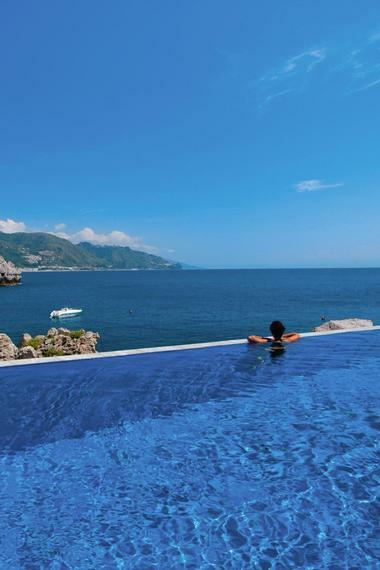 This romantic hotel has a private bay, a full service luxury spa, and panoramic views of the ocean. If you want complete seclusion, take one of the hotel's two smaller speedboats to a nearby beach. The hotel has a private yacht (a Ferretti 761) if you really want to get out and explore the islands. To top it all off, they also have a private jet that can fly you to the hotel (for a fee). However, since it's your honeymoon, the beach, the pool, and the spa should be provide you with more romance and relaxation then you can handle. The Cocoon Spa at Vedema in Santorini, Greece, is a spa getaway which combines immaculate service with a wide array of traditional therapies, all of which are aimed at rejuvenating the weary traveler. If you are in need of a total head-to-toe treatment, the Cocoon Spa offers many luxury full body treatment options to try. The spa has a fully equipped fitness center, sauna, and Turkish bath. To help you get over the symptoms of jet-lag try the "Balancing Act" treatment, a full 90 minute aromatherapy treatment with a exfoliating dry brushing, a nurturing face mask, and an essential oil massage. The Spa at the Westin Puerto Vallarta in Mexico offers treatments that can help you relax. The spa is a member of the Starwood Spa Collection, offering nine indoor treatment rooms and two treatment huts right on the sandy beach. Stay active on your trip by working out in the gym powered by Reebok, hire a personal trainer or join a fitness class such as yoga, Pilates and dancing. The resort offers luxury accommodations, a sandy beach and four pools. The Estrella Spa at the Viceroy Palm Springs is a luxury spa getaway in Southern California. The spa offers indoor and outdoor treatments in a serene setting. Guests can choose from an extensive menu of whole body massages, facials, body treatments, botanical baths, as well as luxury spa treatments designed especially for men. For those who like to receive their services out in the open air, the Estrella Spa offers poolside massages, manicures and pedicures. Depending on what you are looking for, the spa offers packages that combine massage, scrubs, facials, foot treatments and acupressure. The Mother to Be Package includes pre-natal massage, a facial and a pedicure.